Just launched! Ebban an’ flowan is the world’s first poetic primer on marine renewable energy. The book focuses on the Orkney islands, as the leading international test site for this nascent energy industry, and expands to reflect on its relationship with the Nordic countries across the sea. Through both language and technology, the book explores how use is inflected with locality. A number of tide and wave energy devices are illustrated, some in dock, others in the sea, along with an anthology of their characterful names–mixing humour with invocations of classical myth and metamorphosis. 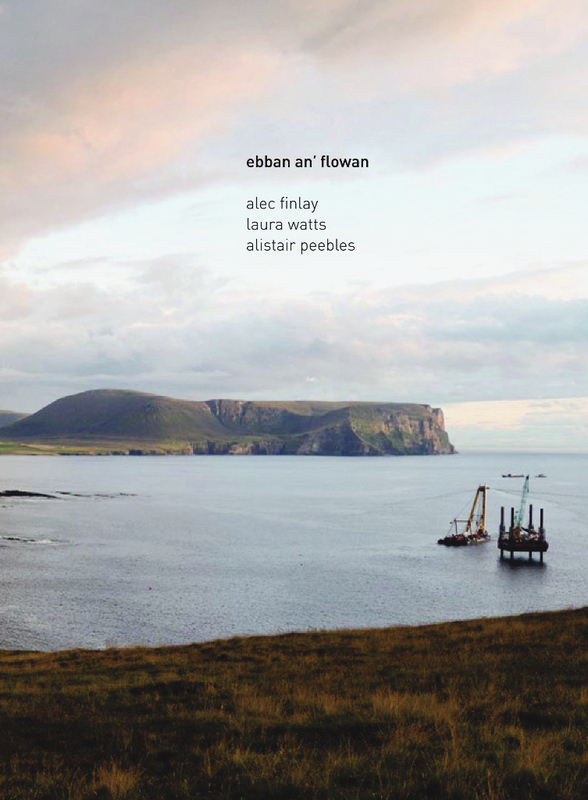 Ebban an’ flowan explores the technical and mythic vocabulary which is evolving alongside marine energy devices. The book offers a unique, creative perspective on this social and technical world by gathering together maritime dialect expressions from across the Norse languages, connecting the older lore of the sea with the new lore of ocean energy generation. An innovative range of poems, maxims, and dictionaries connect tide and wave engineers with the older wisdom of mariners, fisherfolk, and mythic selkies or tangies, to suggest how a language of marine energy may, in some imagined future, grow from words, lodged in collective memory. Languages also have their tides: the energy of speech, as its sound rises and lulls, is always ebban an’ flowan. The project is inspired by ongoing social research in collaboration with people and places around marine energy in Orkney, conducted as part of the Alien Energy project at the IT University of Copenhagen. This entry was posted in News, Orkney, Publications and tagged marine energy, orkney, poetry on 05/11/2015 by Laura Watts.